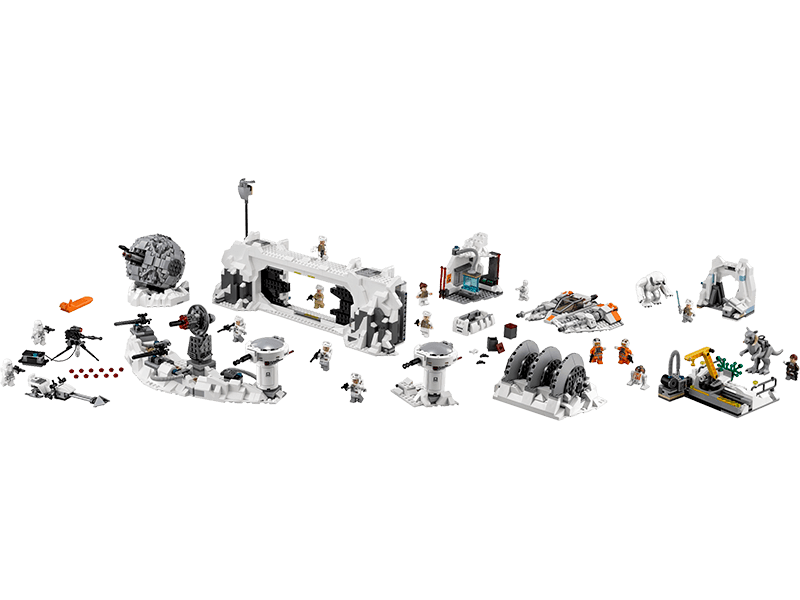 This fantastic LEGO® recreation of the Rebel force’s Echo Base from Star Wars: Episode V The Empire Strikes Back has all the details you need to create your own epic ice-planet battles. Set out on scouting missions with the Snowspeeder armed with twin spring-loaded shooters, and when you spot the enemy speeder bike, get back to base and help Luke, Han and the other Rebel heroes lock down the blast doors, ready the laser cannons, man the gun turrets with dual spring-loaded shooters and power up the devastating ion cannon, also with 2 spring-loaded shooters! This amazing model has so many more features, including a service area with crane, control room area, power generator with explode function, rotating communication dish, scout post with dual stud shooters and a Tauntaun with its own stable. There’s even a Wampa cave (with Wampa) for Luke to escape from! 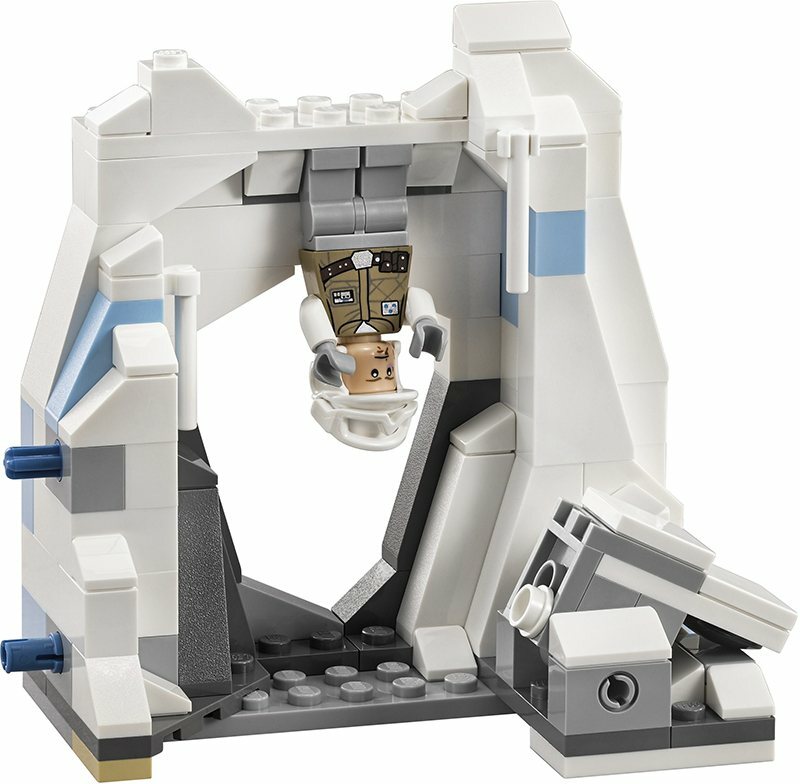 This amazingly detailed set’s modular design also means that you can create your very own Rebel base configuration. Prepare for ultimate LEGO Star Wars action! 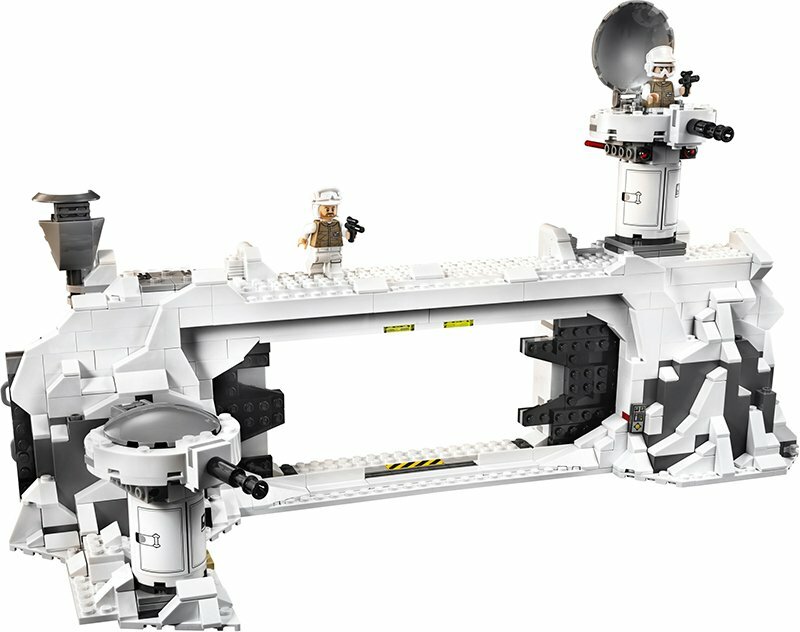 Features Rebel base with modular wall and trench sections, a Snowspeeder and a speeder bike. 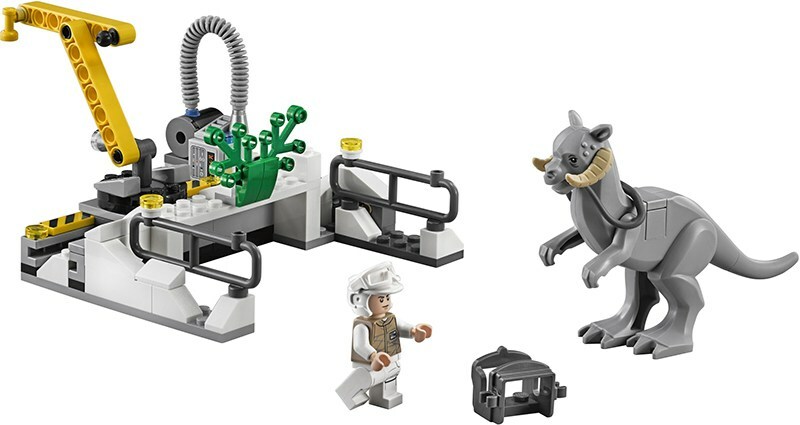 Wall section features slidable blast doors, service area with crane, control room area, power generator with explode function, ion cannon with dual spring-loaded shooters, laser turret with spring-loaded shooters and space for a minifigure, scout post with dual stud shooters and space for a minifigure, Tauntaun stable and a Wampa cave. 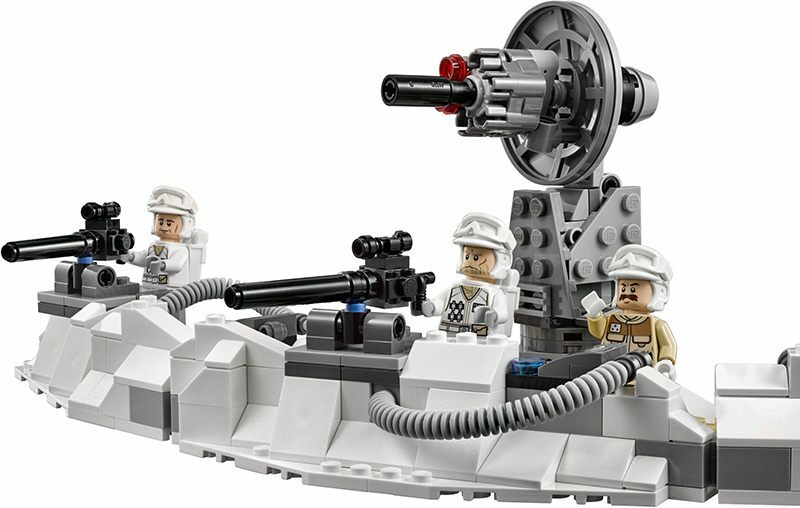 Trench section features heavy blasters, laser turret with double spring-loaded shooters and space for a minifigure, and a laser cannon with rapid stud shooter. Snowspeeder features an opening cockpit, extending speed flaps and 2 spring-loaded shooters. Weapons include Luke’s Lightsaber, 7 blaster pistols, 2 blaster rifles and 2 blasters. Accessories include 7 Hoth Rebel helmets, 2 Snowtrooper helmets, and Wes and Wedge’s flight helmets. Snowspeeder measures over 1” (5cm) high, 7” (18cm) long and 6” (17cm) wide. Speeder bike measures over 1” (3cm) high, 5” (13cm) long and 1” (4cm) wide. Power generator measures over 3” (8cm) high, 6” (16cm) wide and 5” (13cm) deep. Wall section including ion cannon measures over 5” (15cm) high, 20” (51cm) wide and 11” (30cm) deep. Trench section measures over 3” (10cm) high, 13” (35cm) wide and 4” (11cm) deep.